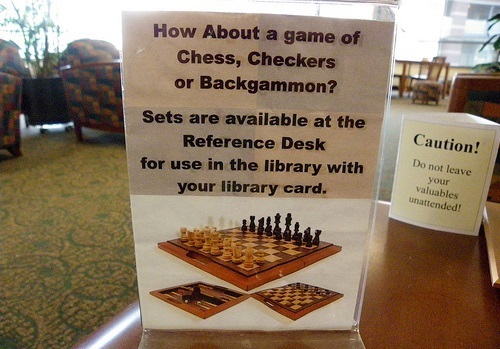 NPQ has previously covered some of the new items that libraries are lately lending to their patrons—beyond books, CDs, and DVDs. We have covered libraries that provide a seed exchange and that rent sewing machines, but the Sacramento library is launching a full-on library of things, which kicked off on Saturday, that is firmly based in a community assessment. Among other things, it will rent prom dresses and board games and a wide range of musical instruments. They have also created for use at the library of things a bike repair station and a 3-D scanner, but they rejected the idea of an actual automobile for library loan on the grounds that it would be too expensive. The library of things is not in the least a response to lower use of libraries; as in other localities, library use is up, says Rivkah Sass, who is the library director at the Sacramento Public Library. She says that traditional book checkouts are up by about three percent. The Library of Things simply builds from that strong base organically. The idea of a library of things has popped up all over, in and outside of libraries—in Slovenia, in Berlin and Amsterdam, and London, and elsewhere.